Co-chairs the IEA Advisory Board. He is Vice-Chairman of Hills & Co. Ambassador Pickering is a Senior Advisor to Boeing where he served as SVP of International after retiring from the State Department. Ambassador Pickering holds the rank of Career Ambassador, the highest rank in the U.S. Foreign Service, from which he retired in 2000 as Under Secretary of State for Political Affairs. He was U.S. Ambassador to the United Nations from 1989 -1992 in addition to serving as the U.S. ambassador to seven countries. Albert L. Williams Professor of International Trade and Investment, a Senior Fellow at the Peterson Institute for International Economics, and a Research Associate at the National Bureau of Economic Research. He currently serves as Faculty Chair of The Practice of Trade Policy executive program at Harvard Kennedy School. Lawrence has also been a Senior Fellow at the Brookings Institution. Lawrence has served on the advisory boards of the Congressional Budget Office, the Overseas Development Council, and the Presidential Commission on United States-Pacific Trade and Investment Policy. Lawrence served as a member of the President's Council of Economic Advisers for President Clinton. Professor Alfaro is the Warren Alpert Professor at Harvard Business School. She is also a Faculty Research Associate in the National Bureau of Economic Research's International Macroeconomics and Finance Program, Member of the Latin-American Financial Regulatory Committee (CLAAF), Faculty Associate at Harvard's Weatherhead Center for International Affairs, and member of the David Rockefeller Center for Latin American Studies’ (DRCLAS) policy committee. In 2008, she was honored as a Young Global Leader by the World Economic Forum. She served as Minister of National Planning and Economic Policy in Costa Rica from 2010-2012. Culture is on the front lines in the battle against violent extremism. Daesh is systematically destroying our civilization’s heritage in Syria and Iraq. In Mali, occupying jihadists attacked shrines, burnt manuscripts, and attempted the unthinkable- to ban music, the country’s lifeblood. Each of the three panelists brings a wealth of experience and leadership to the challenge of protecting and preserving culture, and countering violent extremism. As Director General of UNESCO, Irina Bokova has led efforts to restore shrines in Timbuktu, to preserve and document sites in Iraq and Syria, among many other initiatives. From her position of managing the UN’s humanitarian, peace building, and development operations, Grete Faremo will be able to speak to the critical link between countering violent extremism and providing economic opportunity. Minister Diallo has spearheaded the Timbuktu Renaissance in Mali, a movement to promote peace, unity, and economic development through a focus on culture. Cynthia Schneider is a Distinguished Professor in the Practice of Diplomacy at Georgetown University where she teaches, publishes, and organizes initiatives in the field of cultural diplomacy, with a focus on relations with the Muslim world. Ambassador Schneider co-directs the Laboratory for Global Performance and Politics at Georgetown, as well as the Los Angeles-based MOST Resource (Muslims on Screen and Television). Additionally, she co-directs the Timbuktu Renaissance, an innovative strategy and platform for countering extremism and promoting peace and development, which grew out of her work leading the Arts and Culture Dialogue Initiative within Brookings’ Center for Middle East Policy.. Schneider regularly publishes and speaks on arts, culture, media, cultural diplomacy, and international affairs. From 1998-2001, Schneider served as U.S. Ambassador to the Netherlands. She received her B.A. and Ph.D. from Harvard University. Gretel Faremo is the Executive Director of UNOPS. Before this appointment, Ms. Faremo held various senior-level positions for the Government of Norway. Most recently, she was Minister of Justice and Public Security; a role she held for two years. She was Minister of Defence (2009-2011), Minister of Oil and Energy (1996), Minister of Justice (1992-1996), and Minister of Development Cooperation (1990-1992) for the Norwegian Government’s Ministry of Foreign Affairs. She was elected member of Parliament from 1993 to 1997. Ms. Faremo’s private sector work includes Executive Vice President for the Norwegian insurance group, Storebrand, from 1997 to 2003. From 2003 to 2008, she held the position of Director of Law and Corporate Affairs at Microsoft Corporation’s Western European Office, where she developed the legal and public affairs division responsible for corporate compliance in the region. Ms. Faremo graduated from the University of Oslo in 1978, with a degree in Law, specializing in International law. She entered the public service in 1979, as an executive officer in the Norwegian Government’s Ministry of Finance, later moving to NORAD in 1980, and the then newly established Ministry of Development Cooperation, where she worked for six years. Irina Bokova has been the Director-General of UNESCO since 15 November 2009, and was successfully reelected for a second term in 2013. She is the first woman and the first Eastern European to lead the Organization. As Director-General of UNESCO, Irina Bokova is actively engaged in international efforts to advance gender equality, quality education for all, and combat terrorist financing by preventing the illicit traffic of cultural goods. A leading champion in the fight against racism and anti-Semitism, Bokova has spearheaded UNESCO’s activities on Holocaust remembrance and awareness and is the first Director-General of the Organization to appoint a Special Envoy for Holocaust Education. She is a leading advocate for ensuring quality education for all and has championed gender equality, making this her own personal priority for the Organization. Other fields of action include enabling scientific cooperation for sustainable development, such as early warning systems for tsunamis or trans-boundary water management agreements and global advocacy for the safety of journalists and freedom of expression. Having graduated from Moscow State Institute of International Relations, and studied at the University of Maryland (Washington) and the John F. Kennedy School of Government (Harvard University), Irina Bokova joined the United Nations Department at the Ministry of Foreign Affairs of Bulgaria in 1977. In charge of political and legal affairs at the Permanent Mission of Bulgaria to the United Nations in New York, she was also member of the Bulgarian Delegation at the United Nations conferences on the equality of women in Copenhagen (1980), Nairobi (1985) and Beijing (1995). As Member of Parliament (1990-1991 and 2001-2005), she advocated for Bulgaria’s membership in EU and NATO and participated in the drafting of Bulgaria’s new Constitution. Irina Bokova was Minister for Foreign Affairs, Coordinator of Bulgaria-European Union relations and Ambassador of Bulgaria to France, Monaco and UNESCO and Personal Representative of the President of the Republic of Bulgaria to the “Organisation Internationale de la Francophonie” (OIF). As Secretary of State for European integration and as Foreign Minister, Irina Bokova has always advocated for European integration. She is a founding member and Chairman of the European Policy Forum, an NGO created to promote European identity and encourage dialogue to overcome divisions in Europe. This is an example of her work to endorse the values of dialogue, diversity, human dignity and human rights. Irina Bokova is Executive Secretary of the Steering Committee of the UN Secretary-General’s Global Education First Initiative (GEFI) and co-Vice-Chair of the Broadband Commission. Irina Bokova has received state distinctions from countries across the world and is Doctor Honoris causa of leading universities. In addition to her mother tongue, she speaks English, French, Spanish and Russian. She is married with two grown children who live and work in the United States. The Hon. N'Diaye Ramatoulaye Diallo is the acting Minister of Culture, Artisan Crafts and Tourism for the Republic of Mali. Hon. N'Diaye holds a double major degree in Political Science and Communication from Barry University of Florida and a Bachelor in Marketing and Advertising from the University of Columbus. Before her Ministerial appointment, Hon. N'Diaye, worked in the private sector. She founded one of the most important communications and public relations firms in Mali. Hon. N'Diaye holds a post master degree in strategic management and competitive intelligence from the French Military school (Ecole de Guerre Économique) of Paris, which led her to conduct a study on the "Geo-economic Issues Strategic in the Sahel-Saharan Strip," and a stronger involvement for a more aware and powerful civil society. As a Coordinator of the World Bank's project "Development Marketplace", Hon. N'Diaye helped establish a competitive grant program that identifies and innovative funds and early-stage projects with high potential for development impact in the West Africa Region. Lastly, parallel to these activities, she teaches Communication, Marketing, and Competitive Intelligence in some private Universities of Mali. Ahmed bin Jassim AlThani will discuss opportunities for investors in the state of Qatar. Qatar is rich in petroleum: 60% of its gross domestic product is derived from it. However, under an innovative and far-sighted plan called Qatar National Vision 2030, the Qatari government is looking to grow the country's economy beyond what its natural resources can provide. The plan centers on diversification, and steps are already being taken to grow Qatar's tourism, capital market, and transportation sectors. The Economist special report on Myanmar (Burma) points to increased economic activity resulting from Myanmar's political transformation and influx of foreign direct investment from Asian neighbors. In addition, According to a report released on 30 May 2013 by the McKinsey Global Institute Myanmar's economy is expected to quadruple by 2030 if it invests in more high-tech industries. Please join the IEA member delegation at the book party celebrating the launch of Niall Ferguson's Kissinger: The Idealist. 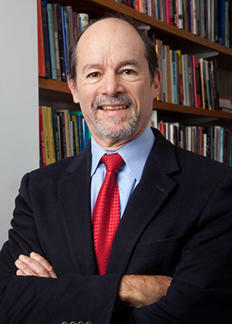 Professor Ferguson is a member of the faculty of Harvard University, and will be interviewed by CBS host Charlie Rose. Our friends at the Berggruen Institute are hosting this event to convene a select group of leaders to honor Professor Ferguson and learn about the way one of the foremost international leaders of the 21st century developed as a thinker. This event will be held at New York's legendary Four Seasons restaurant. Mr. Santivanez is a Principal at Santivanez Abogados, a Peruvian law firm that focuses on advising investors, operators, major consumers, regulating agencies, and government institutions on legal issues. The firm has developed particular expertise in the Peruvian utility sector. Mr. Griswold is the Chariman of Blue Water Worldwide, an investment firm that focuses on South American value creation. Blue Water works closely with the Peruvian firm Electro Dunas. Mr. Correra is the Director of Investment Promotion at ProInversion, a Peruvian agency designed to facilitate private investment in Peruvian economy. Mr. Correra has worked extensively in Peruvian business and is an expert on investment opportunities in Peru. Pedro Lerner is the Chairman of CELEPSA, a Peruvian utility company notable for its hydroelectric assets and diverse electricity generation portfolio. Mr. Lerner has held his position since 2006, and has successfully directed the development of large-scale hydroelectric projects. Ms. Vidaurre-Roche is a Principal Investment Officer at the InterAmerican Development bank, where she leads the origination, analysis, structuring and execution of project finance transactions in the infrastructure space. Her responsibilities also include enhancing bankability of key project documents, and working with private sector clients to expand their sustainability practices, in particular, with respect to social inclusion, climate and environment and innovation. IEA CEO members will be conducting private meetings with Kenya's President Kenyatta to discuss opportunities for private sector growth and Kenyatta's Vision 2030. These meetings are private and restricted to IEA members. Those interested in this opportunity should contact IEA staff prior to the event.